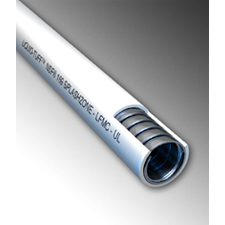 AFC Cable Systems, a division of Atkore International, offers new liquid-tight conduits for commercial and industrial lighting cable installation. The company’s new “Liquid-Tuff” product is designed specifically for splash zones. Splash zones are areas that require regular washing, bleaching and disinfecting to prevent contamination and other hazards.